The following guide suggests the sites to find government information available online for state, federal, and international levels of government. Indiana University Southeast is a congressionally designated depository for U.S Government documents. Government documents housed in the IU Southeast Library are available for free use to the general public without any impediments, such as age limitation or residency status limitation. Access to online government publications can be requested at the IU Southeast Library reference desk. Our tangible, or physical, collection of government publications is available on the first floor of the Library, and is accessible whenever the library is open. Our print collection of government documents is located in the 1st floor stacks, or bookshelves, closest to the art gallery, and our microfiche government publications are located in cabinets on the wall closest to the art gallery. The tangible collection of government documents are shelved by the Superintendent of Documents (SuDocs) classification system, which groups material by the issuing agency. Government documents are searchable in IUCAT, the library’s catalog. 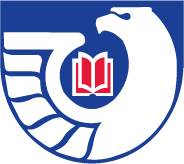 The IU Southeast Library is committed to providing free access to everyone to U.S. Government information. If you need assistance with finding government documents, please contact an IU Southeast reference librarian. We are available whenever the library is open – at the reference desk, by phone (812-941-2189), email, or through chat. Provides free, public access to official publications from all three branches of the United States Government.